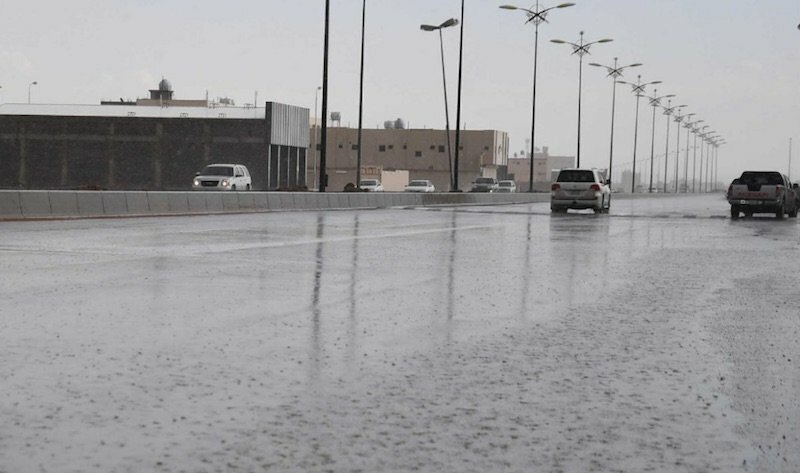 Thunderstorms, accompanied by heavy rains and strong winds are expected across several parts of Saudi Arabia, the kingdom’s General Authority for Meteorology and Environment Protection (MEPA) announced. The kingdom has been facing adverse weather conditions during the last few weeks. The downpour, accompanied by winds could lead to the flow of floods in the Riyadh region, the Saudi Press Agency (SPA) quoted MEPA as saying. The alert included also the cities of Dawadmi, Al-Kharj, Al-Ghat, Al-Majma’at, Lammah and the road between Dawadmi and Riyadh and the adjacent parts. MEPA also issued a similar warning for the Al-Baha area, where flooding could be expected in Al-Mahwah, Al-Mundak, Qalwa, Al-Khadaf and the adjacent parts. Thunderstorms are also expected in the Tabuk region. Meanwhile the General Directorate of Civil Defence in the Eastern Province also warned of continuous weather fluctuations in Dammam, Khobar, Dhahran, Jubail and Al-Ahsa. Thunderstorms and rains could lead to poor visibility on the roads, officials said. The spokesman of the Directorate of Civil Defence in the region, Abdul Hadi bin Ali Al Shahrani, called on citizens and residents to take precautions and not to go down to the valleys and flooded areas.